Today we are going to listen to a couple from Shanghai responding to two new versions of the Easy Interview--15 questions based on the N-400 plus some civics questions. These interviews are part of the Round-Robin series of interviews and listening quizzes that will be release Labor Day 2016. 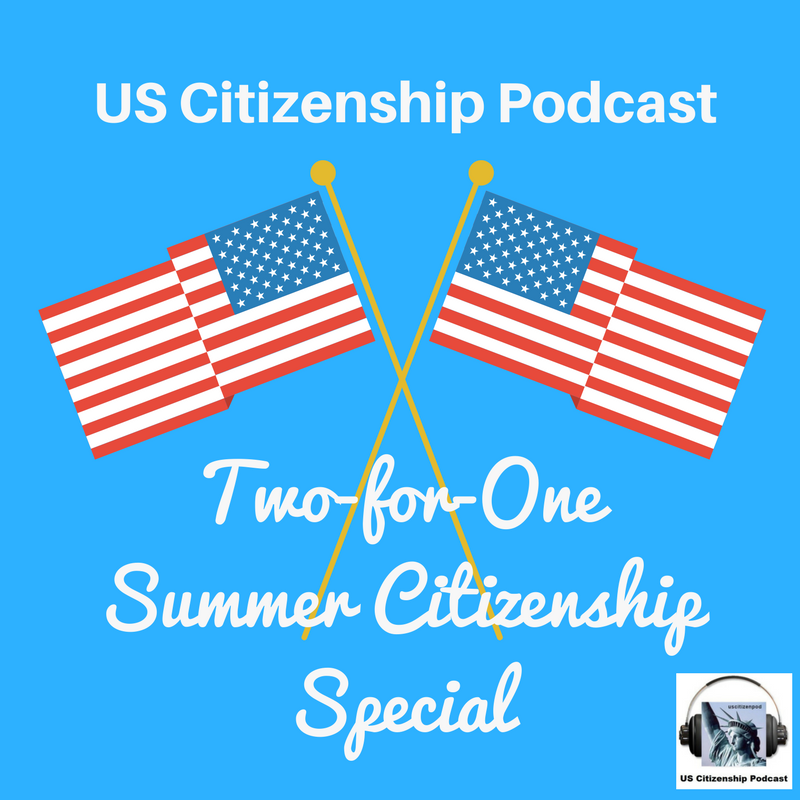 Episodes of US Citizenship Podcast are now available on Stitcher plus the uscitizenpod YouTube channel where you will find more videos from our Summer School ESL/Citizenship at Milpitas Adult Education. More News: I just received the proof for the new paperback edition of my book, US Citizenship Bootcamp. Prepare for the US Citizenship interview by completing a series of 10 interviews based on the USCIS N-400 Application for Naturalization (rev 03/26/16). The first interview includes 10 simple questions; the subsequent interviews gradually introduce new vocabulary and grammar patterns. Includes civics quizzes, 2 glossaries, Citizenship resources, and more! You can get the ebook now from Apple iBook or Smashwords. However, the new paperback is a big improvement over the ebook: each chapter has picture and definition vocabulary quizzes plus an expanded chapter about the Oath of Allegiance. Order the book from ESLPublishing.com. I wil have more info sbout the book in a week or two.